Form a Principled Left Bloc to Drive Zionist Racists OUT of Labour! Defend Livingstone , Shah and all victims of Blairite witchhunt in Labour! The suspension of Ken Livingstone and Nazeem Shah from the Labour Party on phoney allegations of anti-semitism, i.e. anti-Jewish racism, is a dirty Blairite/Zionist manoeuvre and part of a coup strategy of exploiting anti-Arab and pro-Zionist prejudice in the workers movement to destroy the leadership of Jeremy Corbyn, elected last year. Naz Shah reflected widespread outrage in 2014 during the Protective Edge massacre of over 2,000 Palestinians by Israeli terrorists, before she became an MP. She posted on Facebook a bitterly humourous proposal that Israel and its Jewish population should be moved en bloc to the United States, given that country’s massive support for Israel. She was suspended last week when her postings were conveniently revealed just in time for a Zionist outcry during Labour’s current local and devolved election campaigns. This was obviously contrived by the Labour right who no doubt knew about her views on these things when she was used as a convenient Muslim tool to defeat Respect’s George Galloway in Bradford in the 2015 General Election. Although she has sympathy for the Palestinians as do many of her Muslim/South Asian background, she is no radical. She supported Yvette Cooper, not Corbyn, in the Labour leadership contest last year, though her becoming John McDonnell’s personal assistant could be seen as a move to the left. Her craven confession and apology to the racist Zionists tormenting her shows just how weak she is in reality. In the real world, Naz Shah’s suspension on this basis is a racist act by those agitating for it, and by the Labour leadership itself. Anger at the murderous violence and mass ethnic terrorism against the Palestinians, which has been going on for 70 years now and shows no sign of stopping, is widespread among Muslim peoples more widely, who have also suffered from imperialist crimes. It is just and progressive. The humiliating apology and self-abasement of Naz Shah, and the delight of the Zionists at this, really shows above all the monstrous nature of their racism, and the depth of Zionist hegemony today. It is analogous to a black African apologising for ‘racism’ for daring to suggest that the white oppressor minority in apartheid South Africa, if they could not bear to live in equality with the blacks, should go back to Europe. That such a ‘confession’ is not only possible, but can even be applauded by people supposedly on the left like Owen Jones, is testimony to widespread philo-Semitic, anti-Arab, anti-Muslim racism. Ken Livingstone’s response to this also merits the firm defence of the left. It is greatly to his credit that he opposed the ridiculous allegations of ‘anti-semitism’ against Naz Shah and went repeatedly on television to do so. It is a sign of a demented witchhunt when a refusal to join in kicking the original target gets you dragged to the top of the hate list as the next victim. There was nothing racist about the remarks Livingstone was pilloried for, even if his language was crude, conventional and trite. The belief that Hitler “went mad” is a piece of World War II silliness along with the song about his missing testicle. But the fact is that Hitler did, in the early period of Nazi rule, support the emigration of Jews to Palestine and a deal was done between the Nazis and Zionists to send Jews there. There were even coins issued by the Nazi regime with Jewish-Zionist symbols on them to promote the Haavara agreement. This was consistent with the diaspora Zionist bourgeois trend’s strategy of seeking support from anti-Semites like Arthur Balfour (author of the anti-Jewish immigration UK ‘Aliens Act’ of 1905), and Tsarism’s vile Von Phleve as sponsors for the Zionist movement. Hitler was seen by some Zionists as the ultimate sponsor. Livingstone raised this point to point out the hypocrisy of the Zionists who were denouncing Naz Shah for raising the idea that Israel should be relocated to America. It was actually a tactical error to have used this particular example; he would have better stuck to the fact that the Zionists expelled over 2/3 of the Arab population of Palestine to create Israel in the first place. This very damning fact is not sufficiently widely known and really does highlight why the trope that “Israel has the right to exist” is a racist position and support for ethnic cleansing, an action with genocidal implications. But there is nothing racist about what he said about this and he should be defended tooth and nail. What is worse is that the Labour leadership under Corbyn and John McDonnell have effectively capitulated to the coupists over the issue of the phoney allegations of anti-semitism, setting up an enquiry under the respected civil libertarian and ex-Liberty Director Shami Chakrabarti that takes as its starting point the assumption that the Zionist allegations are true, that Labour has a ‘problem’ with anti-Semitism, and merely enquires into how to deal with the supposed ‘problem’. A ‘problem’ that does not actually exist. The elephant is starkly visible in the room here. There is an extremely powerful racist current in the Labour Party, which is flexing its muscles and seeking pretty openly to destroy the Labour leadership. But its racism is not against Jews; it is against Palestinians, Arabs and Muslim people generally. The trend that in Labour is known as the Labour Friends of Israel is the most powerful racist current in British society today; it has a stranglehold on the Shadow Cabinet despite Corbyn’s election as someone who in the past has condemned many Israeli crimes. It has its counterparts, allies and co-thinkers in other parties; the Conservative Friends of Israel, which around 80% of Tory MPs are signed up supporters of. It openly justifies the Ethnic Cleansing of Palestine that is known by Palestinians as the Naqba or catastrophe, where the majority of the Arab population were brutally expelled from their homes, villages and towns in 1947-49. It supports Israel’s ‘right’ to continue to exclude the Palestinian Arabs from their own homeland, without which Arabs would be the clear majority population of historic Palestine. They support Israel’s supposed ‘right’ to ‘defend’ itself against the resistance to oppression and occupation of the indigenous people. There is a Hitlerian logic to seeking to get rid of an unwanted population like this. At most, they emit some liberal whining about the most egregious Israeli actions, like bombing schools in Gaza with white phosphorus, and claim to be for a ‘two state solution’. But there is no way that the Israeli ruling class, who are fully aware that its state is entirely built on land taken by force from another people, would ever allow a sovereign Palestinian state to be created on even part of the territory of historic Palestine. They will have to be forced to concede full democratic rights to the Palestinian people by working-class world-revolutionary means, ultimately, means that will presage their overthrow by the working class. Israel’s actions since the Oslo agreement in 1993 have proven that, as after it was signed the rate of Jewish seizure and settlement of Arab land in the occupied territories massively increased. The claim of support for ‘Two states’, made by these people and sometimes by the racist Israeli state, is a fraud designed to play for time and seize more and more land. There is no place for ‘Friends of Israel’ in an anti-racist party, which the Labour Party says it is. There should be no place either for the presence of the ‘Jewish Labour Movement’, which is a group of supporters of the so-called Israeli Labour Party, the party that carried out the ethnic cleansing of the Palestinians from Israel proper; which occupied the West Bank, Gaza and the Golan Heights in 1967, and which was responsible for the fraud of Oslo. This is not a working class organisation, but a racist party not really different from the racist National Party of white supremacy in apartheid South Africa. Except that even that party did not dare expel the majority of the oppressed native population of ‘its’ state, as Zionist ‘Labour’ has done. There should be no place for ‘Progress’ either, the racist neoconservative pro-Blair faction that overlaps with both of these Zionist outfits and whose leaders were responsible for the criminal invasion of Iraq, with the fulsome support of the Zionists. Yet the Labour leadership, centred around Corbyn and McDonnell, defers to these racists despite their past history as supporters of Palestinian rights. They are capitulating to the ruling class in doing so. Zionism is hegemonic among the ruling class of the imperialist world as the main ideological form that racist ideology takes today. Zionism, as a form of Jewish racism, is the only form of racism that is not irreparably tainted by the stain of fascism and the genocidal activities perpetrated by the likes of Hitler and the National Socialists, with the support of much of the bourgeoisie, in the 1930s and 1940s. Racism is a necessary tool of capitalism, yet it has become ideologically toxic. Because of this contradiction the bourgeoisie clings resolutely to Zionism, like a comfort blanket, and uses all kinds of ideological obfuscation to hide its true nature, like the preposterous idea that it is racist to deny Jewish ‘self-determination’ by means of Israel, i.e. to condemn and seek to reverse the ethnic cleansing of Palestine. Zionism being the racist ideology of a specific caste within the bourgeoisie, those of Jewish origin and Zionist politics, that have the right to citizenship of the Zionist state and the material wealth to participate in its ruling class as well as maintaining a major presence in the ruling classes of the Western powers. 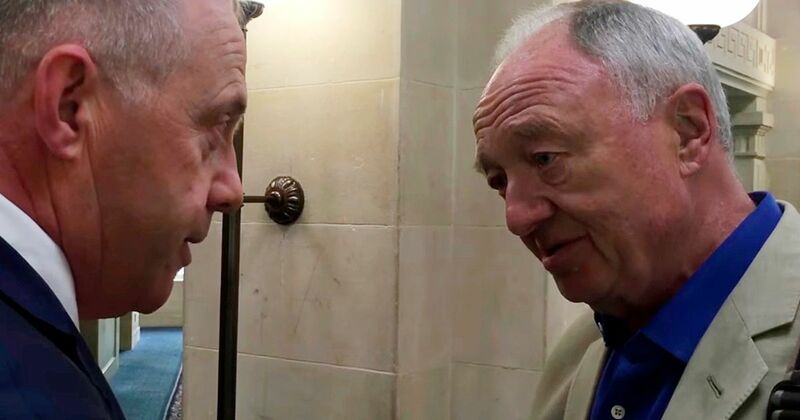 There is major discontent in Labour with the attacks on Naz Shah and especially Ken Livingstone, who for all his many flaws and sometimes gross opportunism, is an historical figure of the Labour Left. It is transparently the case that this ongoing witchhunt against so-called anti-semitism, which so much of the left is chronically weak in the face of, is aimed at overthrowing Corbyn. Therefore there needs to be a left bloc formed to resist it. But it cannot confine itself to defensiveness against the Zionist witchhunt. All socialists, in and out of Labour who oppose the attacks on Ken Livingstone and Naz Shah, as well as earlier attacks on socialists for so-called anti-semitism, need to form an inclusive bloc to resist the coup. But it cannot let itself be undermined by the same pro-Zionist ideology that it eating away at the party under Jeremy Corbyn. Nor must it tolerate any more the architects of this witchhunt. Stop all the expulsions of socialists and opponents of Zionist racism from the Labour Party. Reinstate the expelled! Proscribe, and expel the supporters of, three neo-liberal and/or Zionist organisations that are effectively a bourgeois fifth column and a threat to the workers movement itself: Labour Friends of Israel, Jewish Labour Movement, and Progress. Full of error from top to bottom – logical error, historical error, politcal error, and moral error. “Socialist Fight” represents a strain of thought Labour is well shut of. It is long past time Corbyn stepped up against anti-Semitism, as I am happy to see he has finally done, however reluctantly. If you are howling loudest it’s because it’s your ox that’s been gored. Gerry Downing unwittingly represents the problem. But there is a larger problem: Jeremy Corbyn simply isn’t ready for the big time. Days before the election, the word on the street should be about Dodgy Dave, benefits cuts, junior doctors, the Panama Papers revelations. Instead we have Ken Livingstone all but dancing down the lane singing “Springtime for Hitler.” Why? Because Corbyn has made it clear he would rather eat his socks with mustard than admit that jeremiad anti-Zionism all too often crosses into anti-Semitism. And that attitude is what gave Livingstone the latitude to help Labour – for the first time since the eighties – lose rather than gain seats. 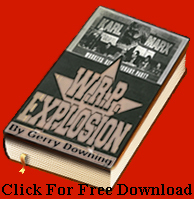 We know that Downing has lost the plot on anti-Semitism; he showed that on DP. We know that Donovan has lost the plot on anti-Semitism; he shows that regularly at WW. The struggle now is whether it is merely Corbyn and Milne who have lost the plot, or Labour. Conflation is the axis where anti-Semites and Zionists meet. Both believe Israel to be a direct synonym for Judaism. It is not. Zionism is a political ideology based upon an ethnocentric form of nationalism, more neo-conservative outpost than religious utopia. It shares more in common with past European hangovers: colonialism and racial supremacy. It is ironic that one of this country’s leading anti-racists, Jeremy Corbyn, a man who has fought against racism his entire life, inspired by great Jewish intellectuals Marx and Trotsky among others, is now being hounded for leading a party of supposed Jew haters. There is very little evidence for this. I direct your eyes to a very forensic investigation into all nine Labour members suspended in relation to allegations of anti-Semitism (published before Livingstone’s suspension). It clearly shows that suspended individuals predate Corbyn’s leadership and in some instances shows suspension itself to be questionable. And let’s be honest – nine members, now ten, out of 400,000 is certainly not an epidemic, and pretty good considering seven percent of the British public views Jews unfavourably according to a Pew Research Centre report. It does, however, show an orchestrated effort by the Labour right, post-Corbyn’s leadership win, to demonise Labour as a party hostile to Jews. This involves trawling through social media for any evidence that can be used as a proxy to bash Corbyn. Considering all the time, resources and effort, they have not managed to find much. I wonder what they would find if they put as much effort into Tory members’ social media? What weird, wonderful and colourful language and memes would be unearthed? Conflation is the axis where anti-Semites and Zionists meet. But even that truism sometimes fails. WW in a recent issue published a letter from a comrade from Economic and Philosophical Science Review equating ‘Jew’ and ‘Zionist’. In a formal sense, this is “anti-Semitic”. Yet I think their position is defensible, although more angular than my preference. The moral I draw is that “antiracism” isn’t a precise or scientific category, and nothing fundamental (such as membership in the labour movement) should depend on the application of so subjective a concept. Expel the Zionists for pro-imperialism, not “racism.” This isn’t to say they aren’t racists (by my lights), but the term “racist” is a moral judgment, not a scientific categorization. The Labour Party claims to be “antiracist,” while not (I gather) anti-imperialist. Certainly not anticapitalist. Antiracism is the official stance of the neoliberal ruling class. Absent anti-imperialism and socialism, it’s a liberal dodge, a deceit, not a fitting battle standard for a socialist fight. Pity there’s no detail of what the ‘historical’ errors etc actually are. So nothing to reply to, except a typical nut job Nazi-baiting of Livingstone and even Corbyn. When such people talk of ‘morality’, it is best to hang on to your wallet, as Trotsky said. Also interesting to note that the author of the ‘Israel to America’ graphic that Naz Shah posted during the massacre known as ‘Protective Edge’ was … Norman Finkelstein. Which exposes even more the real nature of those who accused her and Ken Livingstone of ‘anti-semitism’. Like Owen Jones and others supposedly on the left. Traitorous racist witchhunters, like the ‘Roger D’ character above. Pity Naz Shah is so lacking political confidence and self-esteem as to abase herself before this racist inquisition. But that is what it is.